The India Disaster Resilience Leadership Fellowship Programme aims to strengthen leadership and build the capacity of practitioners in vulnerable regions of the country, where they can make effective contributions towards risk reduction and resilience building. Sustainable Cities is a free online course where you will learn about the major challenges faced by urban areas around the world and the extraordinary potential of these areas to enable change in the future. The course is currently live on edX – Enrol Now! India’s urban transition is unprecedented in scale and complexity. Within it lie both the opportunities of increased economic growth and employment as well as the challenges of persistent inequality, extreme deprivation and environmental degradation. Be a part of shaping this transition. IIHS is seeking Post-Doctoral Fellows to join its vibrant intellectual environment within the Academics and Research programme at IIHS. Applications for the Urban Fellows Programme 2019-20 have been extended to 26 April 2019! 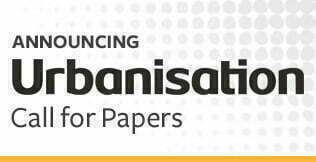 Are you a sociologist who wants to contribute to India’s urban social transition? 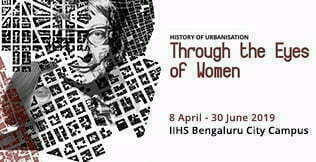 Listen to Fellow, Neha Abraham to gain an insight into the ways to transition from a sociologist to urban practitioner. Why should Public Health professionals enrol for the Urban Fellows Programme? Listen to former Fellow, Sophia Thomas to gain an insight into the ways to contribute to this transition constructively as a Public Health professional with the #IIHSin UFP. You will get an opportunity to apply your skills in enhancing health outcomes of urban communities, acquire an understanding of urban issues and understand urban challenges.